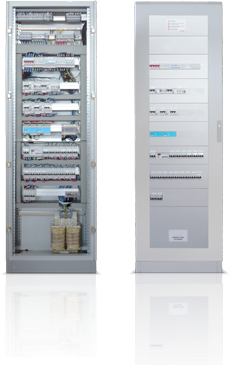 Command and monitoring boards for 230 V AC single-phase network secure power supply for surgery, surveillance premises, intensive care and anesthesia. It is also guaranteed the control of isolation and power supply within IT circuit and of temperature of isolation transformer. Through them, power supply and PE of insulation controller, current transformers and temperature detectors connections are checked.